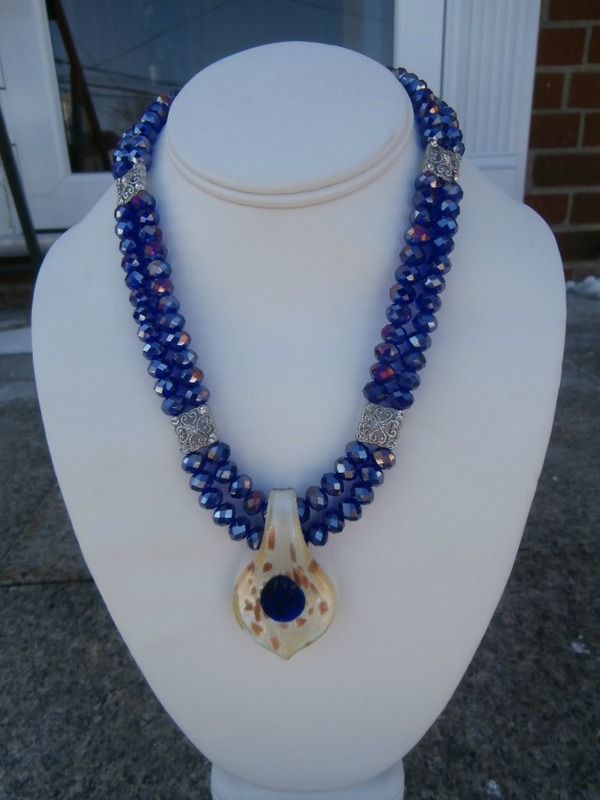 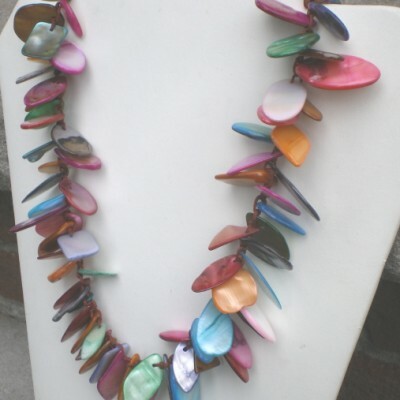 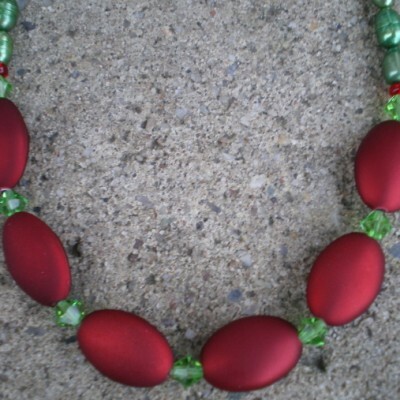 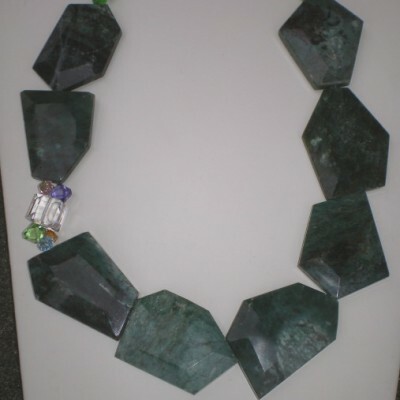 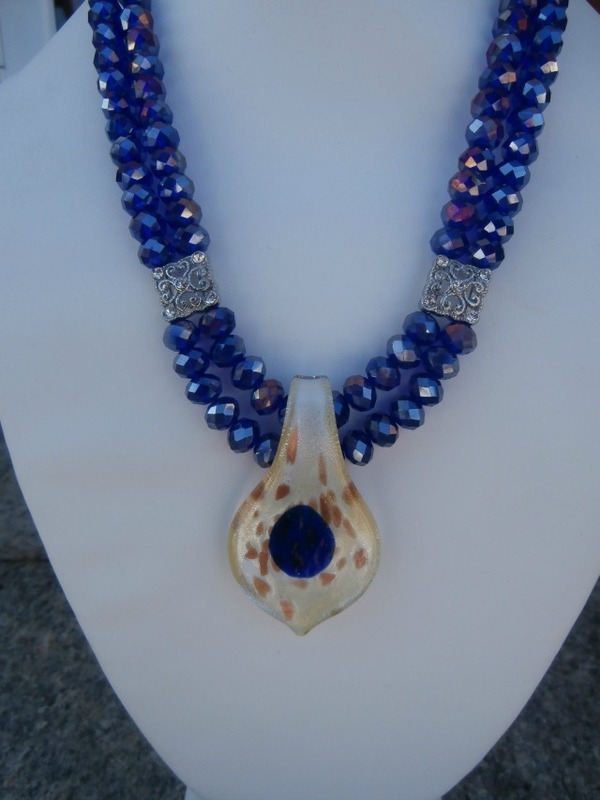 17 1/2″ Long two strand necklace. 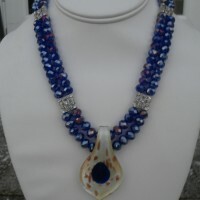 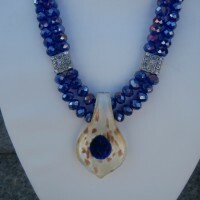 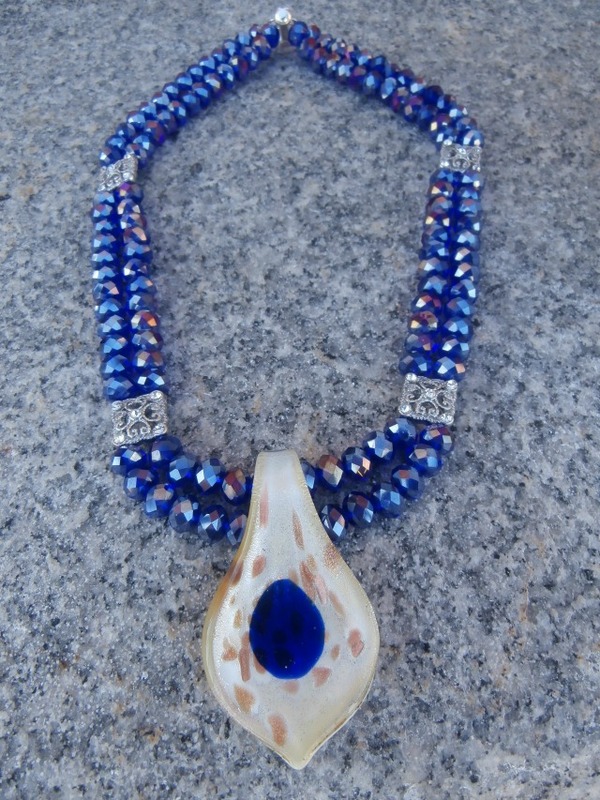 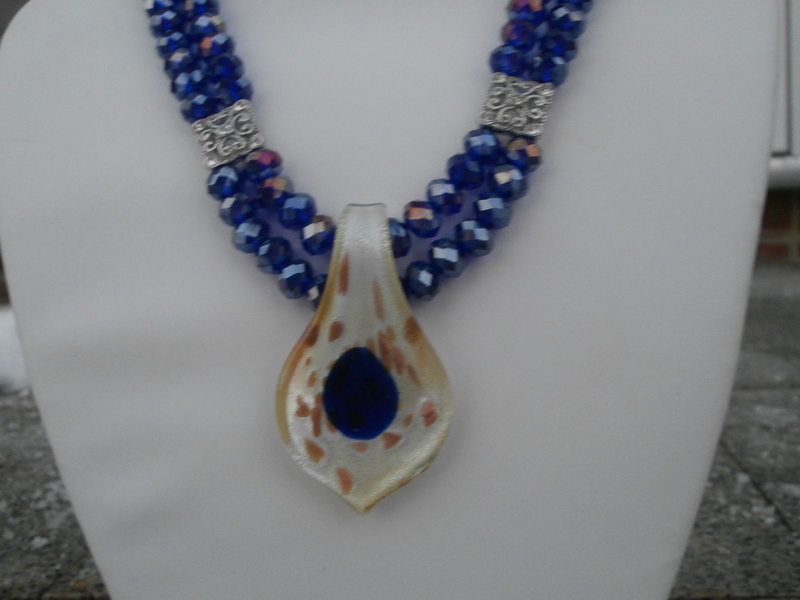 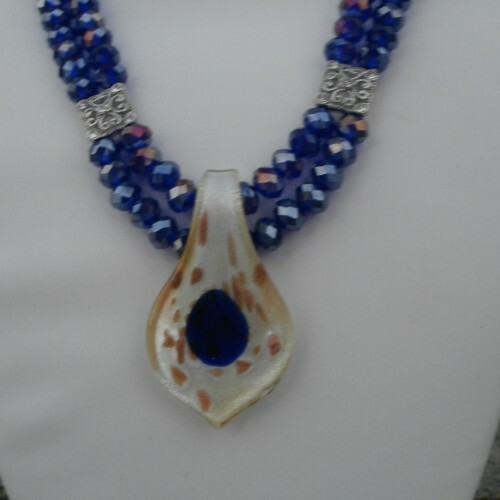 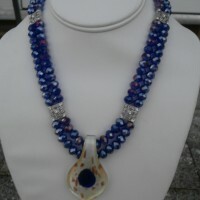 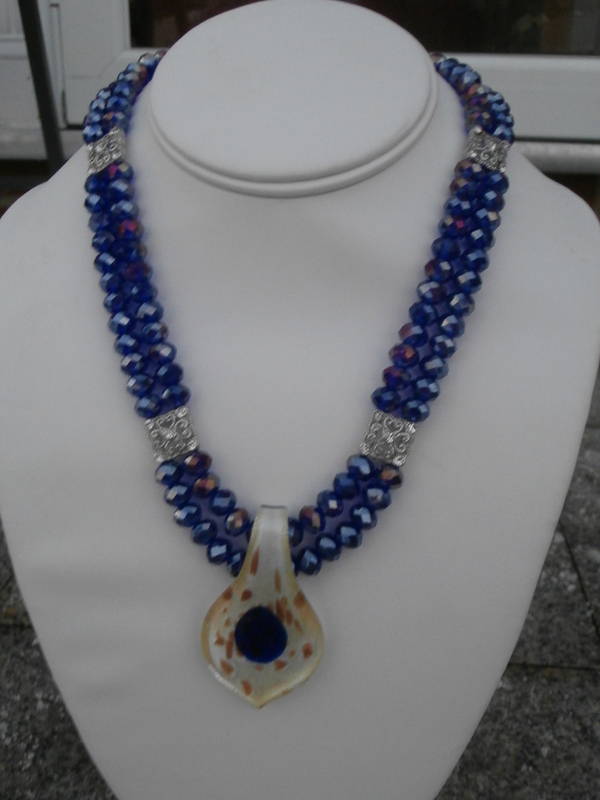 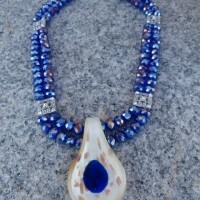 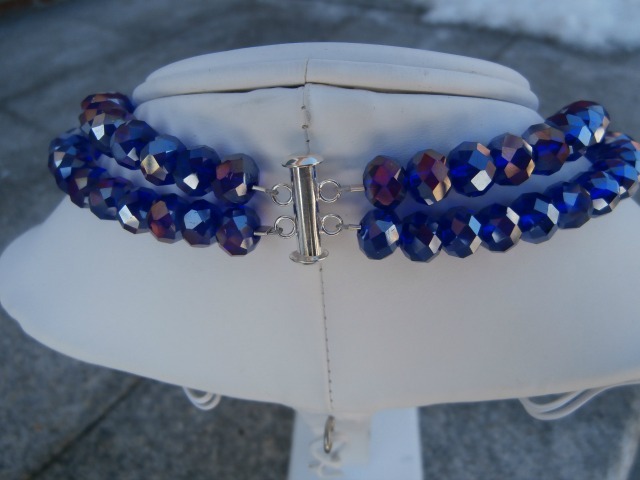 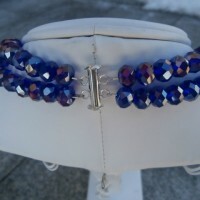 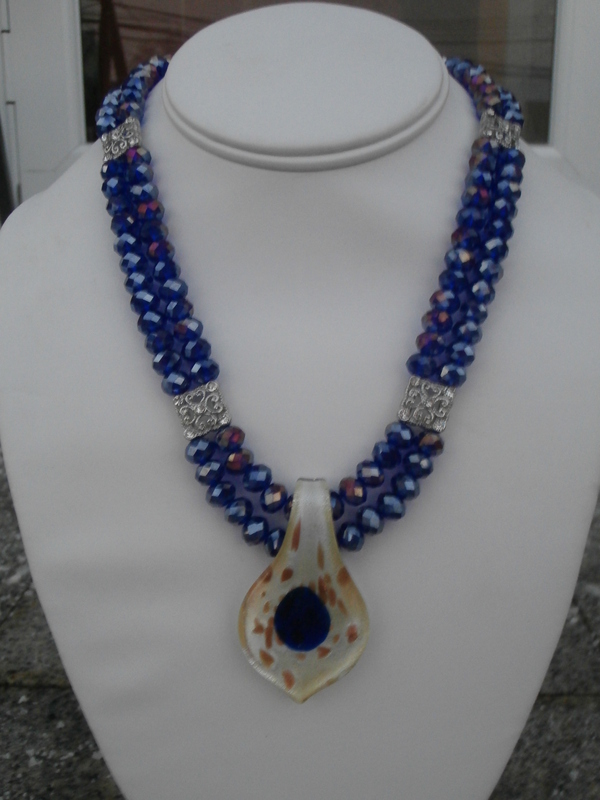 Blue fire polished glass rondelle beads with silver plated two hole spacer beads and sliver slide clasp. 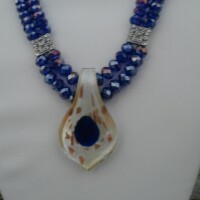 Taupe, tan and a dot of blue glass pendant. 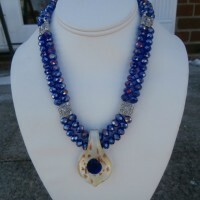 Be the first to review “Two Strand Blue Necklace with Taupe And Tan pendant” Click here to cancel reply.